In 2011, with financial support from the European Cultural Foundation, Moving Theatre with the Kutaisi Lado MeshkishviliTheatreproduced a bilingual adaptation (Georgian and Russian) of Shakespeare’s Troilus and Cressida. The production included eight newly created monologues derived from verbatim interviews with people who had experienced from both sides the conflict in South Ossetia (a territory which had been part of Georgia but which in 2008 came under the protection of Russia following a short war). Shakespeare’s play tells the story of the Trojan war, a conflict between the Greeks and Trojans – closely linked to each other through kinship and marriage and who each were able to understand the other’s language. We hoped that the play with the Greeks speaking Russian and the Trojans speaking Georgian might give the audience a new perspective on the conflict they were experiencing themselves. Three years later, we undertook the project again, this time working in Ukraine. Financial support came from the UK Conflict, Security and Stability fund the partnership included London South Bank University and Theatre Na Padoli in Kiev. 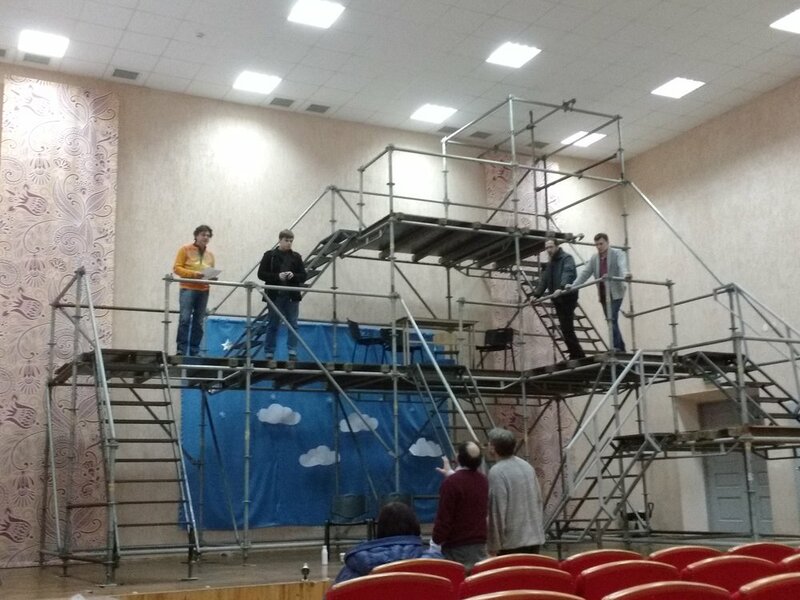 This was a much larger project; the production played in Kiev and in six other cities; we ran an outreach programme in schools and colleges and we created an audio drama and a film from the play. In both cases, the project demonstrated the striking contemporary relevance of Shakespeare’s writing and the profound impact which the words of ordinary people can have when interpolated into a broader narrative; audiences cheered or walked out but none were left unmoved. I’m a real IDP; I used to live in Donetsk. I was born there and spent 27 years of my life in this city. I saw your play “Troilus & Cressida” on Tuesday. I understood that it was all about our Ukrainian war, the real war, not some imaginary war long time ago. I almost cried when the character said, “All this war is happening just because of a cuckold husband and a woman cheating on him”, because we feel about this ugly, stupid war in the same way. It’s really great that your play tells people about the things happening in Donbass, thank you!